National Geographic Children's Books, 9781426333583, 160pp. 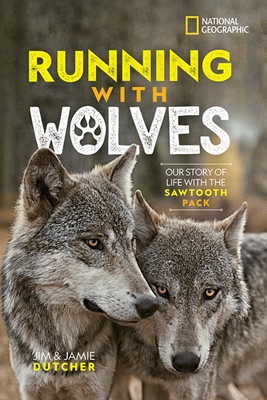 For more than 20 years, JIM AND JAMIE DUTCHER have been documenting wolf behavior. They spent six years living in a camp near Idaho's Sawtooth Wilderness, intimately observing a three-generation wolf pack. Their unprecedented experiences resulted in Emmy award-winning prime-time documentaries. They are the authors of four other books for adults and children from National Geographic, including The Wisdom of Wolves, Hidden Life of Wolves, A Friend for Lakota, and Living With Wolves! They run a foundation, Living with Wolves, whose mission is to protect and educate the world about wolves.